Myth: Diamonds are formed from coal. According to evolutionists and geologists, diamonds were formed about 1–3 billion years ago, that’s way earlier than any known record of even the Earth’s first land plants let alone coal. Coal, known as a fossil fuel is formed from the dead remains of vegetation like trees, ferns and other plants and life. The formation of coal takes millions of years and can be traced back to 300 to 400 million years ago, but not a billion years. So, how again are diamonds supposed to have formed from coal that didn’t even exist then? They didn’t. Natural diamonds, the hardest substance known to man require very high temperatures (ranging from 900 to 1300 on the Celsius scale) and pressure that exists only at depths of 87 to 120 miles (140 to 190 kilometers) in the Earth’s mantle to form. Unlike other gems which are formed by a combination of elements, diamonds are made up of one single element- Carbon. Carbon-containing minerals present in the Earth at those depths, crystallize to form diamonds because of the immense pressure together with the heat from molten magma. The diamond crystals are then transported to the surface during deep-source volcanic eruptions in the magma. This is quite a rare occurrence as diamonds are formed at depths usually 3-4 times deeper than that at which normal volcanoes originate. However, when this magma cools, it forms igneous rocks known as kimberlites (named after the diamond-bearing region of Kimberly, South Africa where these rocks were first identified) and lamproites, used as an indicator that diamonds may be found in that area. The Kimberlites form narrow pipe shaped fissures which are also referred to as diamond pipes. The most prominent kimberlites are located in South Africa and Central Africa which roughly contributes for 49% of the natural diamonds mined in the World. Coal is an amorphous form of carbon and at the most can change its chemical composition and transform into its nearly purest form which is Graphite but not diamond. The conversion of coal into diamond is almost impossible due to its impurities and the fact that coal is rarely buried to depths greater than two miles (3.2 kilometers) which is not conducive to the formation of diamonds. In stark contrast to a diamond’s extraordinary hardness, colorless appearance and shine when cut, the other form of pure carbon is graphite, which is very soft with a soapy feel and a dull gray color. Kimberlites, though rare, are widespread throughout the surface of the earth. Most well known diamond producing pipes are small, 12 to 75 acres but they generally occur in clusters of six to forty pipes. The most prominent kimberlites are located in South Africa. Approximately 130 million carats (26,000 kg (57,000 lb)) of diamonds are mined annually, with a total value of nearly US$9 billion. Oh, yeah? Then how did Superman do it? Because Superman is a fictional character? Interesting article…you seemed to cover every aspect of the diamond, from formation to the amount of value in the world…even the pseudo-science of “color and clarity”…., but not a single word on the widespread torture, slavery, maiming involved in their mining and the wars they’re used to finance. I guess as long as every giddy bride-to-be gets her shiny rock on her “special day”, all is well in the world. I completely agree with you when it comes to talking about harvesting /mining diamonds. Many years ago, the movie, “Blood Diamonds” opened my eyes to the disgusting reality of everything that happens prior to walking into the jewelry store and being dazzled by the size and sparkle of the diamonds. However, that is not what this article is about. The article’s purpose is to debunk the belief that diamonds are a byproduct of coal. Is it necessary to educate people about the appalling way that diamonds end up in our jewelry? Yes!! Is an article focused solely on why diamonds are not made from coal as most people grew up believing the best place to fully and properly educate people about this travesty? No. I suggest that you write your own article and submit it to the page, and help open the world’s eyes (just as this article did for me when I found out that I’ve been wrong about the link between coal and diamonds my entire life)! 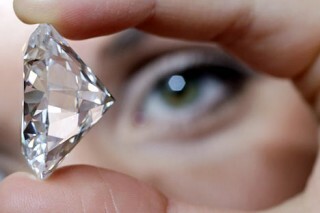 For the common person (rich or poor), diamonds are just rocks, that what they are. They are useful for many other scientific and industrial purposes, but for the common man, it’s all just a lot of manure.